My fridge is now clean. 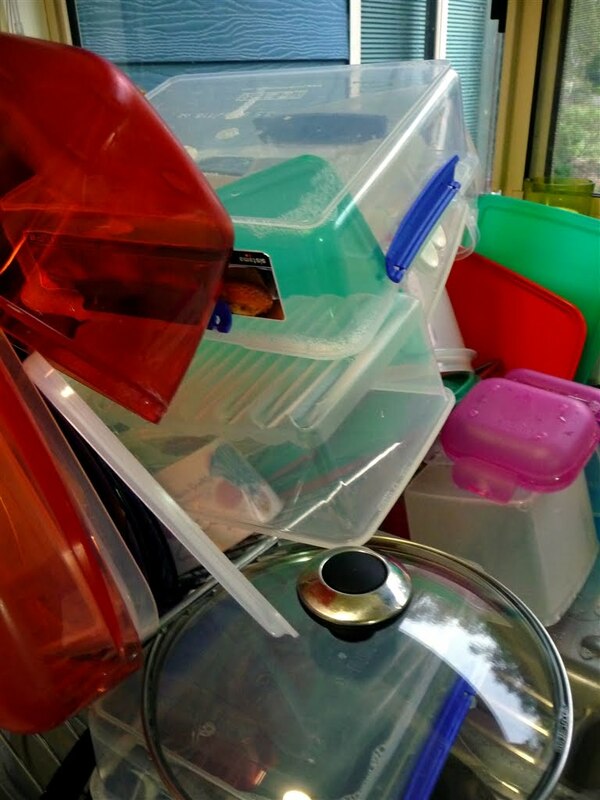 Above is a pile of clean tupperware that once housed left over food or salads. These containers have now been emptied, cleaned, washed up and put away. My fridge was wiped clean and when my son came home and went to the fridge he exclaimed ‘we have no food’. My fridge has now been cleaned out of the food that was growing grey fungus, limp lettuce leaves, dried out carrots and slimy cold meat. Yes at first light this morning the rubbish man took it all away.